Tagged under Wataru Watanabe, TMS Entertainment, Drama CD, Light Novel, Series. Enjoyable sports show but a lot of times (once you get away from the beginning arc or two, since then he had an excuse of being a noob) Onoda is annoying as hell with this total underdog defeatist attitude even after he gets a big win with the rest of the team. If you liked Over Drive, then you should try this series as well. I've been reading the manga and I quite like it, so when I heard they were making an anime for this I was excited. Anyway, this series is a must watch for me. I like how the series has been progressing so far. 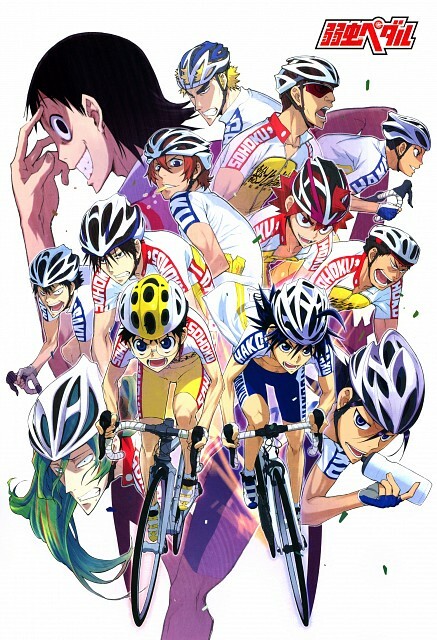 No feedback on Yowamushi Pedal.